Unlock the hidden nutrition inside the foods you eat with the Magic Bullet NutriBullet nutrition extractor. A unique combination of the new NutriBullet extractor blade and exclusive cyclonic action generate the power to break down, pulverize and emulsify foods so you can access the hidden nutrition inside. Don't blend it. Don't juice it. Extract it with the NutriBullet. This blender will make anything smooth!!! I love this product and use it daily for smoothies! I will blend anything you put in it to a nice smooth consistency which is a bonus for me since I have texture issues!!! I can't live without it! It is simple and easy to operate. Blades are easy to clean. Only down side is that it is really noisy but that is not a deal breaker! The motor is cery dependable and log lasting. I love it! I also use it to make baby food! I really love my nutrbullet. It takes up little space and all the items can be stowed away. I love the different sizes but I wish the pitcher was at least a half size bigger. Other than that, I think this is the best space save blender to make a drink! Also, this is more powerful than a magic bullet so that's a good thing. It blends so well and i love to make smoothies with it. I purchased the Nutribullet a little over 6 years ago, I was getting into my smoothie phase. This little machine did not disappoint it was small and powerful it did everything it said it would do and more. I still have it and use it on a daily basis and love the extra cups and lids that came with it. I even convinced my mom to get one she was in the market for one. 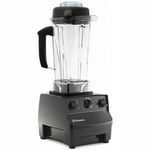 This blender is extremely easy to use and easy to clean. 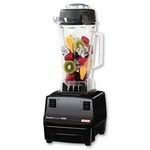 I mostly use it for my daily smoothies and it is much better than a regular blender. I actually blended raw ginger and it came out extremely smooth and perfect. Definitely worth the buy. i always wanted this nutri bullet and once i got it i was very exited, i have had mine for more than 5 years not, never had any problem i would love the newest version to try. but this one gets the job done. i make shakes, juice, salsa, evrything you can think of. I use this blender everyday. 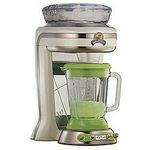 I make a lot of green smoothies and fruit smoothies and this blender blends everything including fruits and vegetables very smoothly. It is compact and easy to clean. I love how it comes with lids and different size containers to blend. It is so simple to use as well. 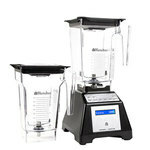 If your looking for a great blender without the heavy price tag this is the blender to get! I'm single but like to cook and have guest for dinner. My kitchen is pretty small so I wanted to get a small blender. Hesitated a long time before I purchased the Magic Bullet. I am really satisfied, is light and very easy to store in my cabinet after I used it. 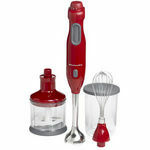 For a single person, is like the ideal blender to get. I mixed my açaí with juice and berries. Perfect size and so so convenient to have the cup with its cap. If I don't finish my drink, I just put in the fridge and keep it for later. I mixed my veggies, hot one from my boiling pot, for a super smooth soup. I love to cook broccoli soup or cauliflower mashed. When I have guests, I just did the mixing couple times, it's quite simple. I enjoyed it a lot and highly recommend it. The Magic Bullet is very easy to clean, just a little soap and rinse it off. It's great for both: cold or hot food. I use my Nutribullet almost every morning to make smoothies with frozen fruit and ice. I love how powerful it is and there are never any large pieces left after blending. I have also used the grinding feature more than once and it works very well for coffee beans, nuts, spices or whatever you need to grind. I love how there are no buttons, you just push and twist and it starts to blend without you having to setup anything! Love this blender. Can't be beat for the price to value/performance perspective. This blender gets used multiple times each day in our family. Great for single-serve smoothie making. Powerful, simple and extremely effective. Easy enough for a 10-12 year old child to learn to make their own smoothies.